When pickup truck drivers are not careful, the items they are carrying in their truck beds or pulling on their hitches can cause serious accidents, endangering everyone else on the road. In California, negligent pickup truck drivers can be held accountable for the injuries they cause. 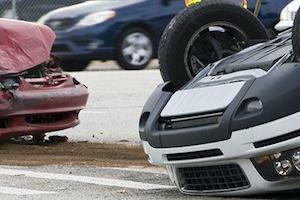 Injured in a Pickup Truck Accident? At the San Jose law firm of Corsiglia McMahon & Allard, L.L.P., our San Jose pickup truck accident lawyers help injured victims pursue fair compensation. To schedule a free consultation, contact us today. You will not pay any fees unless we help you obtain money damages. Call (408) 289-1417.
Notable Related Case: $2.5 million settlement for a young child who lost her mother in a car accident caused by a ladder falling from a construction vehicle. Unsecured Items: When items in a pickup's bed are not secured properly, they can fall off when the vehicle goes around a sharp curve or accelerates suddenly. Heavy, unsecured items can also shift suddenly, causing the driver to lose control. Swerving Trailers: Pickup trucks are often used to pull trailers holding boats, ATVs, and other recreational vehicles. If a pickup driver is not careful while towing a trailer, the trailer can swerve or even jackknife, causing a potentially serious accident. If you have been injured in an accident caused by a pickup truck driver’s negligence, our team of respected personal injury attorneys may be able to help you obtain fair compensation from the responsible party. Do not hesitate to contact us to discuss your case. Call (408) 289-1417 today.